The Anker PowerCore+ 26800 Battery Pack Bundle is a simple solution to making sure your gadgets are charged on the go thanks to its 30W USB Type-C power delivery and two additional USB ports. Anker has made a name for itself as one of the most reliable gadgets and accessories manufacturers in the game. Despite their reasonable prices, the quality continues to impress and its Anker PowerCore+ 26800 PD with 30W Power Delivery Charger is no exception. We've spent some time with this laptop battery charger and put it to the test to see just how well Anker's compact battery pack holds up against a variety of gadgets. If you've owned any Anker products, you'll immediately recognize the PowerCore+ 26800. It features a minimal rectangular design made of extruded aluminum with rounded edges for a very smooth look and feel. It weighs roughly 1.3 pounds, which gives it a premium feel without feeling too heavy. The PowerCore+ 26800 features a single button on the top of the device to show remaining battery life and three ports on one of the two flat sides: two 5V/3A PowerIQ USB ports (Power IQ is Anker's proprietary smart-charging standard) and a power delivery USB Type-C port. It's a no-frills design that gets to the point without any unnecessary details or frills and it looks great when paired with any clean, modern device if you care about form as much as function. As with most battery chargers, there's not much to the Anker PowerCore+ 26800. Inside the box is the battery pack, a 30W USB Type-C wall charger, and two cables: a USB Type-C to USB Type-C and a micro USB to USB Type-C.
Our device came approximately 50% charged based on the battery life indicator lights on the top. We immediately burned through what battery life it had so we could start fresh with testing to see how quickly the 30W wall charger could fill the 26800mAh capacity. It's a no-frills design that looks great when paired with any clean, modern device if you care about form as much as function. From zero percent battery life, the PowerCore+ 26800 charged to 100% in four hours flat, both in our initial test and our eight additional battery cycles, with only ten or fifteen-minute variances. This time lines up perfectly with Anker's given timeframe, which states it will charge in four hours when using the included 30W USB wall charger and USB Type-C cable. The Anker PowerCore+ 26800 retails for $129.99. That alone is a deal in terms of power output, but add in the accessories and it's an absolute steal. We tested the PowerCore+ 26800's charging abilities using three different devices: two smartphones and a laptop. The smartphones we used were an iPhone XS and a Samsung Galaxy S8 Active and the laptop we had on hand was a 2016 MacBook Pro 15-inch. For the smartphones, we made sure the PowerCore+ 26800 was charged up entirely and ran both the iPhone XS and Samsung Galaxy S8 Active through complete battery cycles until the battery pack was out of juice. The iPhone XS was charged six and a half times with an average time of an hour and a half using the PowerIQ USB port with a Lightning cable. The Samsung Galaxy S8 Active, on the other hand, managed seven and a half charges with an average charge time of an hour and fifteen minutes using the included USB Type-C to USB Type-C cable. We tested the PowerCore+ 26800 on our 2016 MacBook Pro 15-inch four different times to get a solid average. With the laptop completely dead, the battery pack managed to charge it to 100% in just three and a half hours with a little battery life to spare. The Anker PowerCore+ 26800 retails for $129.99. That alone is a deal in terms of power output, but add in the 30W USB wall charger and the two cables and it's an absolute steal. The USB wall charger alone goes for $25.99 and the cables easily add up to $10 together, meaning you're effectively paying $100 for the charger. Anker PowerCore+ 26800 has an almost identical competitor, the RAVPower 26800. The two battery packs feature the exact same capacity and both are capable of outputting 30W charging via their respective USB Type-C ports. The RAVPower 26800 retails for $79.99, a full $50 less than the Anker PowerCore+ 26800, but it doesn't include the USB wall charger. It also recharges using Micro USB, meaning it's going to be a fair bit slower than the Anker PowerCore+ 26800, which uses USB Type-C. RAVPower claims its battery pack can recharge fully in 4-5 hours. Want to take a look at some other options? See our guide to the best portable laptop battery chargers. The perfect little power pack. 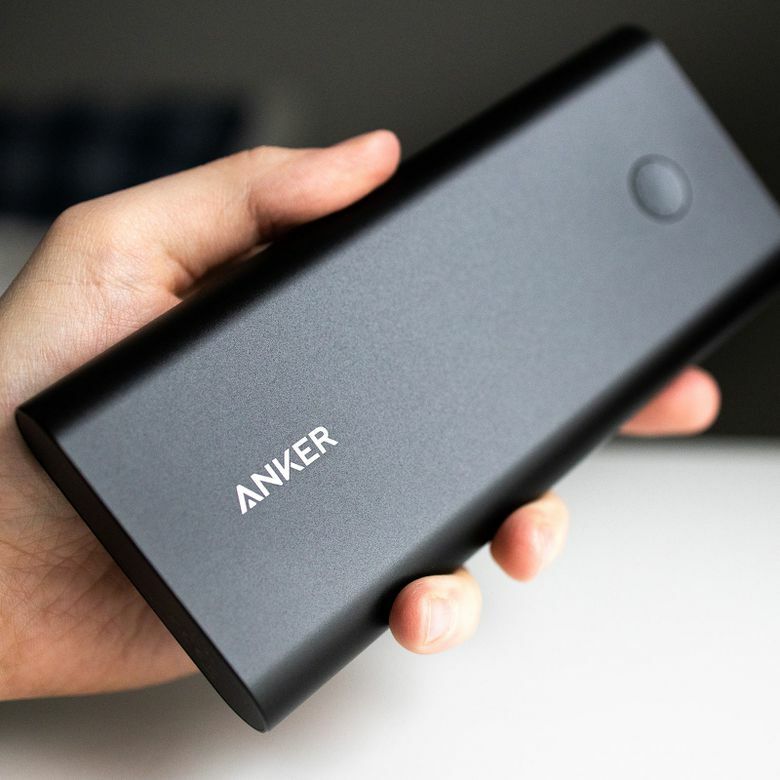 Yes, it's a little more expensive than its RAVPower contemporary, but considering the included accessories and more thoughtful design, it makes it worth it to spring the extra cash, especially when you take into account the 18-month warranty Anker offers. Product Dimensions 6.54 x 3.15 x 0.91 in.